This post contains affiliate links and I will be compensated if you make a purchase using the links in this post. If you’re looking for a deal on Huggies wipes, check this out! 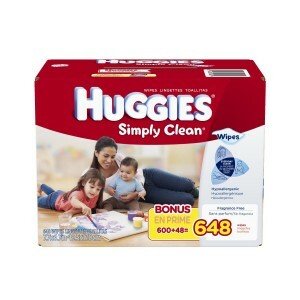 You can get 648 Huggies Simply Clean Fragrance Free Baby wipes for as low as $7.94 shipped! This is the equivalent of 9 tubs for that price, which makes them just $.88 per tub shipped! You usually can’t find a deal like this in store, even with coupons! 2. Clip the $2 off coupon. You must be logged in to your Amazon account to access this coupon and it is one time use per account. 3. Choose a Subscribe & Save delivery schedule from the blue box on the right. You can cancel your subscribe & save order at any time after your order arrives! NOTE: The promotional $9.94 pricing offer is only available to Amazon Prime members. Non-prime members should still be able to take advantage of the coupon and Subscribe & Save pricing. Save 15% with 5+ Subscribe & Save items in a month! pricing is $9.94 with 5 Subscribe & Save items! 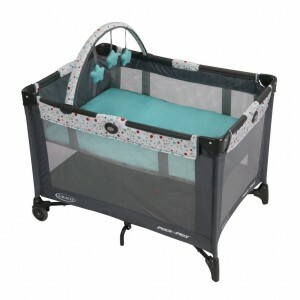 Graco Pack ‘N Play plus bassinet only $49! If you’re expecting or have a new baby, right now you can get this Graco Pack ‘n Play plus bassinet for just $49! When my kids were little, our Pack ‘n Play was a LIFESAVER! When they were new babies, we kept it in our room so I didn’t have to go up and downstairs all night to feed them and when they were older, it kept them contained so I could shower or do a few things around the house! These are great for grandparents, too, and this is a great price for one that includes a bassinet! 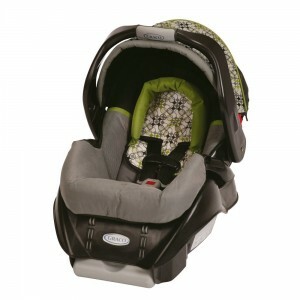 And…if you need a car seat, the price of this Graco SnugRide infant car seat has dropped to $59! That’s $30 off the regular retail price! If you’re pregnant or a new mom, don’t miss this! Get a FREE nursing pillow! When my kids were babies, mine was a lifesaver Even if you’re not nursing, these are great for tummy time, too! There are several different patterns to choose from. All you have to pay is shipping and handling, which is typically about $12. These are a $40 value, so this is a great deal! Choose your pattern and enter the code ENBABY at check-out. This post contains affiliate links and I will be compensated if you make a purchase using links in this post. If you’re pregnant or know someone who is, make sure you take advantage of this HOT offer from Kohl’s! Get a FREE Kohl’s $25 off coupon with Baby Registry creation! I didn’t even realize that Kohl’s had a baby registry option! Enter the code SNUGGLE at check-out and within 20 days, you will receive your coupon! Several readers have gotten these freebies and been very pleased! FREE Baby Einstein Books Set: LAST DAY! If you’ve got little ones, make sure you grab this FREE Baby Einstein Book Set! You’ll receive 3 board books, a set of discover cards with a key ring, and a plush book! All you pay is $4.95 for shipping and handling! I loved these books when my kids were younger! They were great for building vocabulary! This is a LIMITED TIME OFFER which will be ending on Monday, August 11, so grab it while you can! Baby Einstein’s Playful Discoveries will introduce your baby to language, music, animals, nature and art. The Baby Einstein Discovery Kit contains bright, soft and interactive fun for your baby. Featuring 3 sturdy and durable board books filled with bright illustrations and colorful images, a squishy plush book for sensory exploration, a set of discovery cards and an informative parent guide. Receive a parent page with tips on how to introduce your baby to language, music, animals, nature and art. Make connections between images in the book and in the real world. Create lasting memories while developing a life-long love of reading. Risk free. Cancel anytime with NO purchase commitment!